Start Your 7 Days of Fierce! When you feel fresh, you feel confident. Confident enough to be you at your most fierce. Who doesn’t want to feel like that every day of the week? Get ready to experience a whole week of freshness with 7 Days of Fierce. 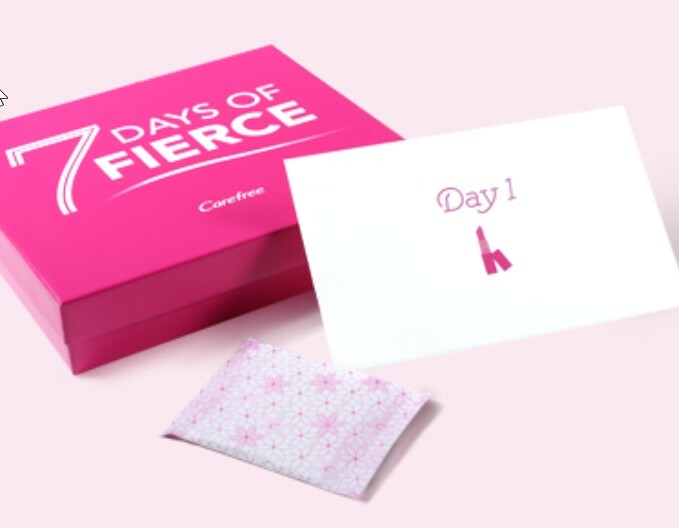 1 Sign up to receive your free 7 Days of Fierce kit. 2 Get seven Carefree® daily liners and a week of confidence-boosting dares. 3 Prepare for your fiercest week yet!